One of my New Years resolutions was to workout consistently. I started BBG, and while somedays it totally kicks my booty, I’m loving the changes I see taking place! I feel stronger and am feeling more toned and fit…and I’m only 4 weeks in! I can’t wait to see the results when the 12 week program ends! 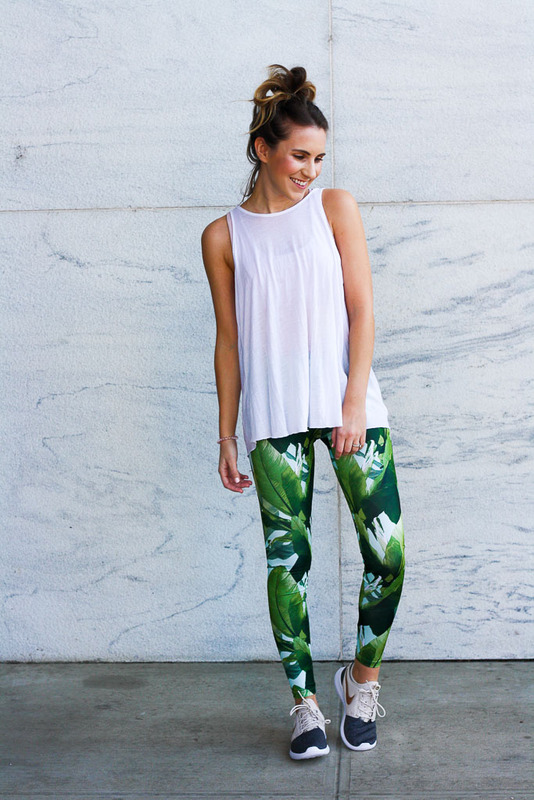 One HUGE motivator for me is cute workout gear. I don’t know about you, but cute gear always helps me get up and get moving. 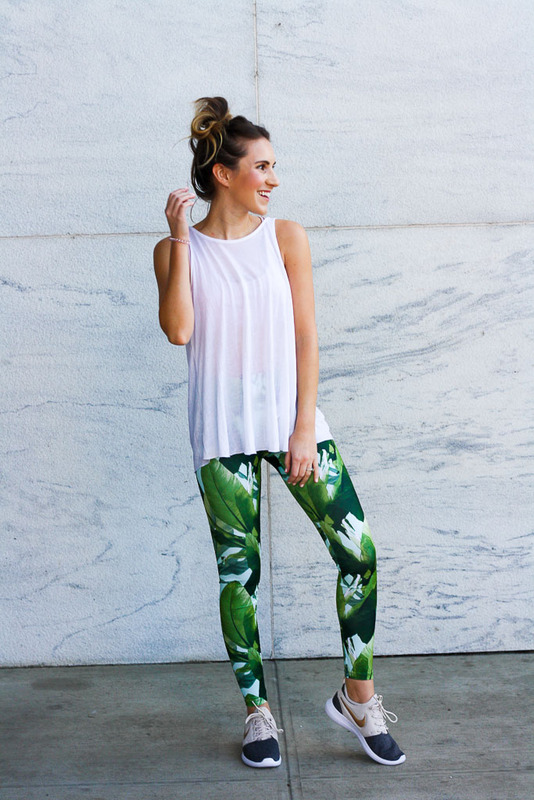 While browsing for some new pieces to freshen up my workout wardrobe, I stumbled across these fun palm print leggings and had to give them a try! For $20, they are a steal and SO cute! 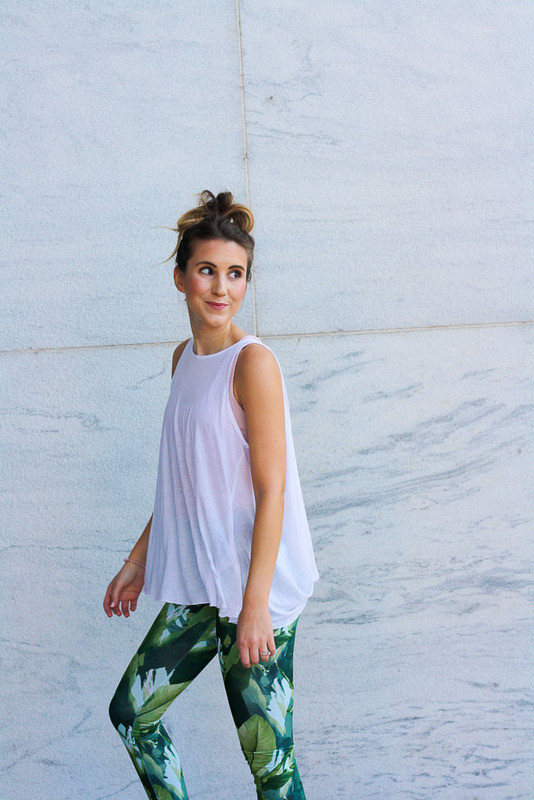 I ended up snagging a cute cutout sports bra and a breezy open back tank to complete my look and spent UNDER $50! I will definitely be ordering some more pieces! Check out what I have my eye on!